Arrow is a DC Comics live-action show that started up on The CW in 2012 and has continued to the present. As its name suggests, it is based on Green Arrow, but it is important to note that it has its own particular interpretation of the character as well as the setting that exists around him. On the whole, Arrow has had a surprising impact, meaning that it has both changed much and been changed much in the process. How Has Arrow Changed Over Time? For starters, Arrow has brought the Arrowverse into existence. In short, the Arrowverse is a shared universe in a similar sense to the DC Extended Universe and the Marvel Cinematic Universe but centered on live-action TV shows rather than live-action movies. However, the Arrowverse has seen other kinds of works included in it as well, with an excellent example being the various web series that have been released. Based on the name, it should come as no surprise to learn that Arrow has had a huge impact on the Arrowverse. For example, it has helped some of the other shows get off of the ground by offering their characters a place to be introduced to the audience before throwing them into the deep end that is the TV market. Furthermore, the Arrowverse shows similar focuses, similar plots, and other similarities that were pioneered by Arrow before being further refined by its spinoffs. However, Arrow has also been shaped in turn by its spinoffs, with the most notable example being its involvement in the various crossovers that have come along over the course of its existence. 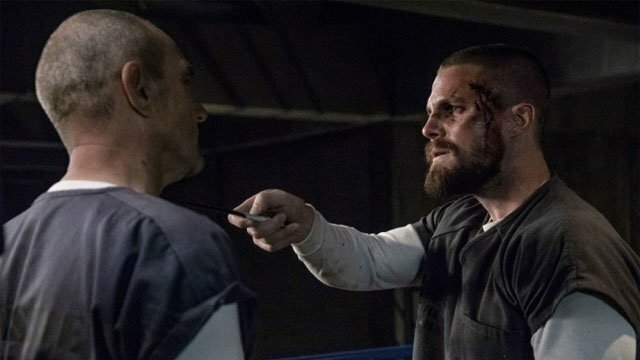 One example would be the 2015 crossover in which Green Arrow and the Flash teamed up to take on Vandal Savage, which was used to set up Legends of Tomorrow. Another example would be the 2017 crossover that focused on a Nazi-ruled parallel world, which enabled the setting to focus more on elements from Freedom Fighters: The Ray. With that said, Arrow has seen plenty of changes in its own right. For example, the titular character has seen some serious changes in his circumstances. In Season 1, he was someone returned to society after he was stranded on an island by a shipwreck. By Season 5, he had become the mayor and by Season 6, he had become imprisoned because of the reveal of his secret identity. Besides him, it should be mentioned that there has been a succession of characters both coming and going from Arrow for one reason or another. This can be seen in a full cast of supporting heroes springing up around the titular character, which range from Overwatch to not one but two Black Canaries. Likewise, this can be seen in a veritable parade of villains, which include Green Arrow regulars but also features characters that most people would be more familiar with because of other DC Comics properties. On top of this, it is interesting to note the transition from flashbacks to flashforwards. What happened to the titular character on the island where he was stranded has been very important for him and the rest of the show. However, since he starts out as someone who has returned to society, his experiences there are explored in the form of flashbacks over the course of several seasons. However, those flashbacks have now been replaced with flashforwards featuring his son William as well as other familiar faces, which serve as an exploration of Green Arrow’s impact on the setting rather than what has happened in the past. Suffice to say that this is an interesting change, not least because of how what it says about the overall change in focus for the show. Summed up, the success of Arrow has made the Arrowverse possible, which is rather interesting because the shared setting has seen Green Arrow claim a position of prominence that would be blocked off to the character in most versions of the DC Universe. After all, there are DC Comics characters that are much better-known than him, with examples including but not limited to Superman, Batman, and Wonder Woman. However, those characters have been claimed by the DC Extended Universe, thus enabling a different cast of characters to flourish in the Arrowverse in their absence.